A Rare Tashen Collector Portfolio litho Print. Rare 2009 one time issue, from an original painting made circa 1955. Hurry we have only 1 left in this estate collection at this price..
Pinup Girl Playing and flirting on a rug. She shows a little peek a boo with lingerie under sheer see through sheet Corset Lingerie, negligee with exposed stockings and garter belt. Less is more for the imagination in those days. these pinups shows us the life in the mid century 1940's, 50's and early 1960's! Enjoy! Made exclusively as a limited release by Tashen on license (c) B&B 2009. A fully authorized licensed product. HISTORY OF THIS TYPE OF ART: This was the art that was popular with the bomber crews WWII, ( and Korean War). This was the type of image popular for pinups copied on countless leather flight "Bomber Jackets" B-17, B-24 and B-29! Beautiful 1940's & 1950's Commercial, Aviation, Barber Shop, Hair Salon, Auto shop and gas station pin-up girl. 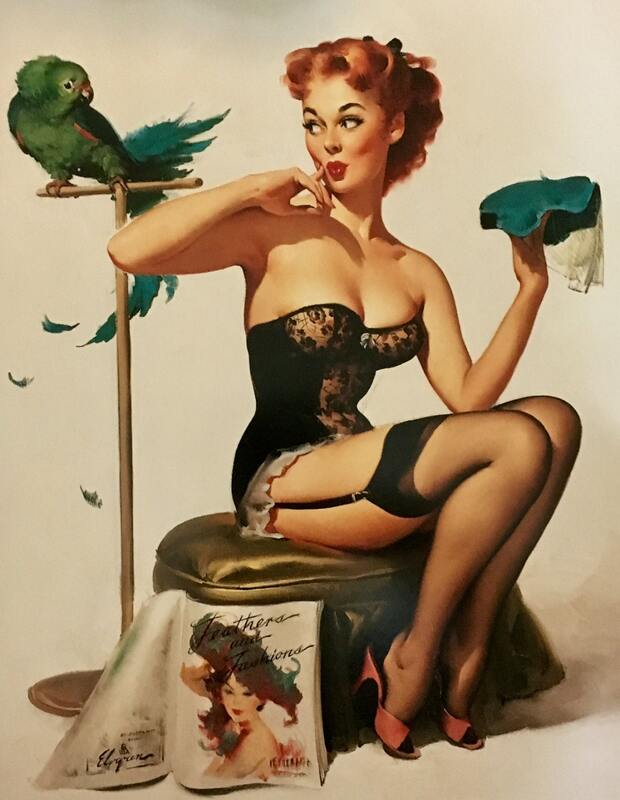 Elvgren tm, is the Exclusive art trademark and brand of Daniel Vancas, in use since, 1993, All rights res. Backed by Federal Court rulings and Permanent Order, 2000, 2001. Upheld.